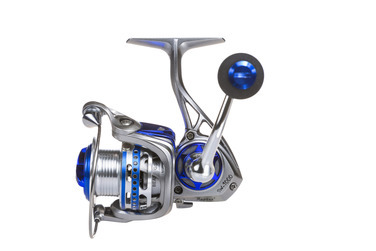 The high speed 5.1:1 gear ratio, provides a rapid retrieve rate, while the multi-disc carbon fibre and stainless steel front drag system gives a smooth, progressive drag pressure, with minimal start-up inertia and jerk-free performance. CNC machined aluminium hub and handle, with innovative stainless wire link-arm, complete the modern, high-tech appearance. 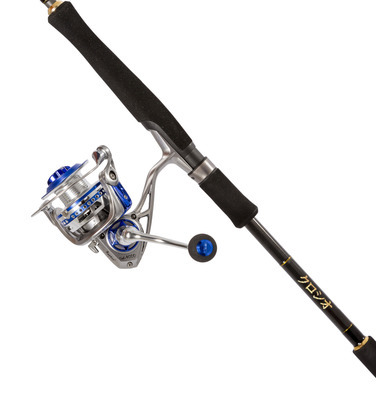 Finished in a hard, satin black powder coat pain finish, to complement the Kuroshio rods and offer maximum saltwater and chip protection. Easy left to right hand conversion. 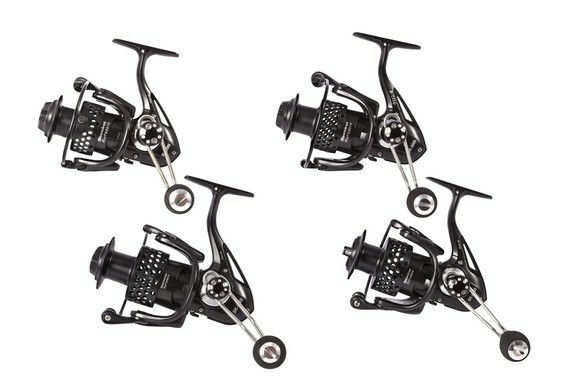 The second generation of our popular Raptor Spinning Reels take the Raptor range onto another level! 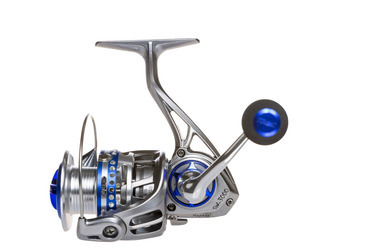 The success of the original Raptor reels, even took us by surprise as more and more lure anglers came to appreciate their exceptionally smooth performance for both fresh or saltwater use and amazing value for money. 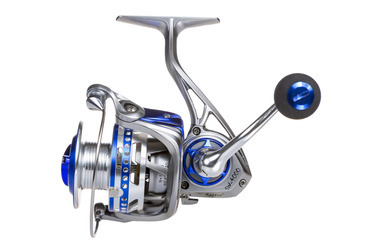 More importantly, over the past 4 years since their launch, they have proved to be totally reliable, in the harsh saltwater environment. 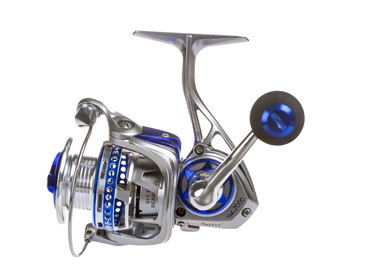 provide a silky smooth performance, which coupled with a brass pinion gear and corrosion resistant internal parts, ensure these new reels will withstand the harsh saltwater environment. 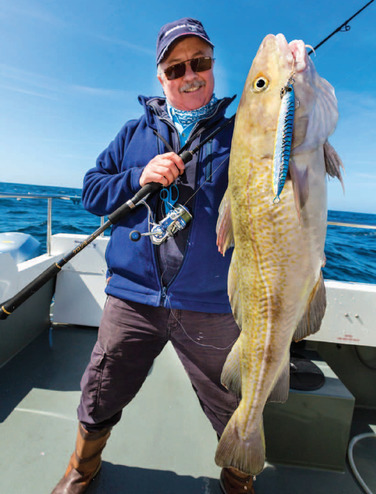 With the ever-increasing popularity of LRF fishing, the two smallest models in the range are ideal for this exciting style of fishing.